C2 Photography. Aspen, Colorado. Editorial Travel Photography II 37. 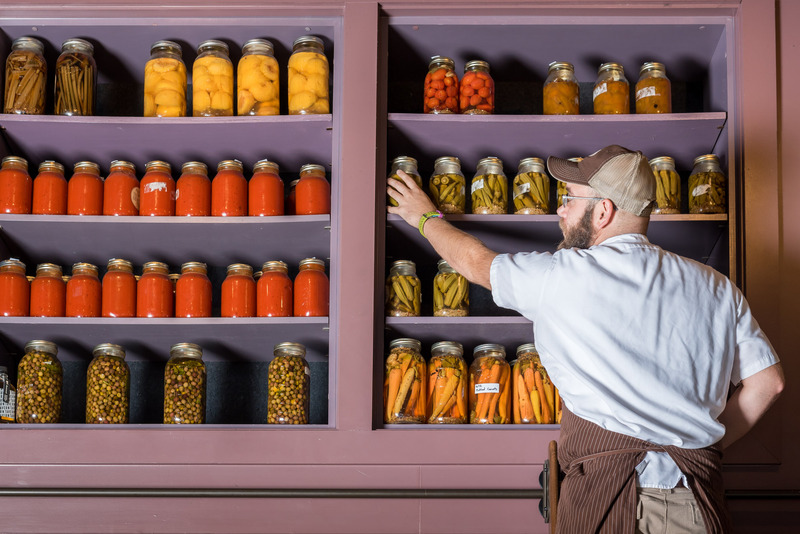 Sous Chef Evan VanHorn collects jars of pickled items from the shelves at The Grocery in Charleston, South Carolina. Editorial tourism and travel photography by C2 Photography.